The Royal Air Force (RAF) defended the UK against the German Air Force (Luftwaffe). The primary objective of the Germans was to compel the British to agree to a peace negotiation and settlement. This was something the Germans thought was forthcoming since their defeat of France in June 1940. But even though some in Britain were willing to talk settlement with Germany, Churchill would hear nothing of a British surrender. The Battle began with the Luftwaffe targeting coastal shipping areas and RAF airstrips and infrastructure. As the battle dragged on, the Luftwaffe targeted factories and strategic infrastructure. By the end the of the battle, the Luftwaffe was bombing political targets and civilians in order to get the British to back down and to assert their dominance over the RAF. But the Luftwaffe failed and it was the RAF who proved to be the better air force. The defeat at the Battle of Britain caused Hitler to cancel Operation Sea Lion which was to be his air and amphibious invasion of Britain. That is just the beginning of the story of the Battle of Britain. Here are some things many people don’t know about this early World War II battle. 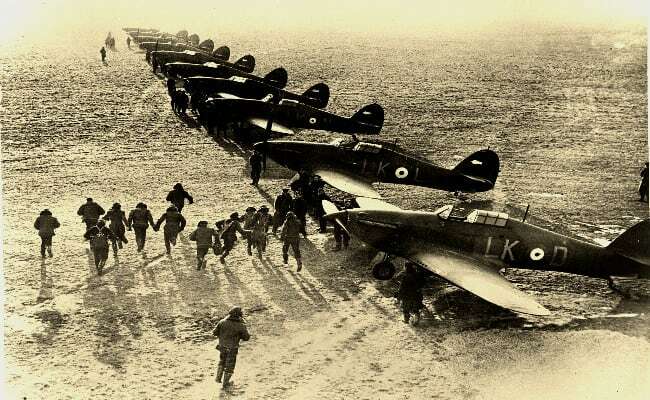 According to statistics, the RAF fighters were made of 2,937 pilot fighters, but only around 2,350 were British. Twenty percent of them were volunteers from Commonwealth countries such as Canada, Australia, South Africa, and New Zealand as well as expatriates from Poland, Czechoslovakia, Belgium and other countries that had already fallen to the Nazis. The refugees who had lost their countries and were more than willing to give their lives to help the British fight for the chance to save Europe. There were even American pilots who had joined up to help the British to fight for what they believed was right. There were so many foreign pilots that joined the RAF that many squadrons were divided by country. The Polish forces had the 302 and the 303 Squadron. The 303 Squadron was considered the most successful squadron of all the Allied squadrons the Battle of Britain with 176 kills. There were several Polish pilots of note with more than 15 kills each but perhaps the most recognized pilot with the 303 squadron wasn’t Polish at all, and he wasn’t even a member of the squadron. Sgt Josef Frantisek was from Czechoslovakia, he was assigned to the Czech squadron but he preferred to fly alongside his Polish comrades. Desperate for pilots, the British allowed Frantisek to be an unofficial member of the 303 squadron, as an independent pilot. So he followed his own rules, and at times flew off alone, patrolling through areas he anticipated the German aircraft traveled on their way back to base. The German planes returning to base would likely be damaged and low on fuel, so he would ambush the fighter planes brutally bringing them down. He was able to score 17 victories in this manner. Hitler’s war plan against the British was to win air superiority over England by completely destroying the RAF after which he could invade Great Britain with less resistance. The Luftwaffe went ahead to launch an attack on coastal shipping convoys and shipping centers and after one month, they shifted their target to RAF airfields, infrastructures, and aircraft factories. So, the British, realizing that the attacks were airborne, came up with airborne counter attacks. The RAF and allied pilots continued with this plan, dominating the skies and displaying their superiority over the Luftwaffe. This continued until the Allies raided Berlin which shifted the German targets away from the RAF airfields and infrastructures. Hermann Goering was the Luftwaffe commander, and he believed that he could sweep aside the RAF in a few days of airborne combat. He greatly underestimated the skill and tenacity of the RAF fighters. They dragged the battle out for three and a half months proving that the RAF would not be so easily dispatched. Britain had support not only from the UK, but from 15 other countries. 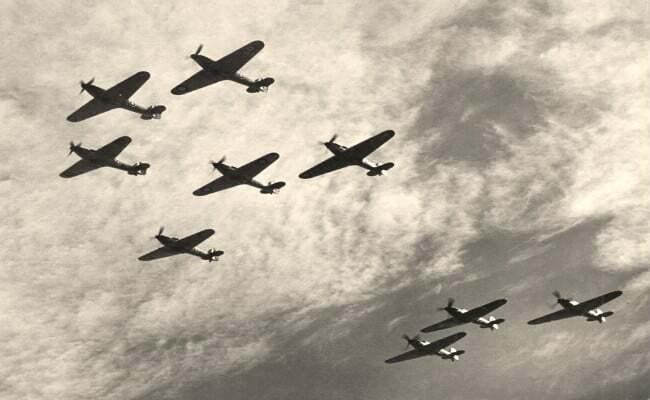 With the aid of so many planes and skilled pilots this was the first battle that was waged exclusively in the air, mainly because Hitler wanted to avoid an invasion of Britain while the RAF was still operational. 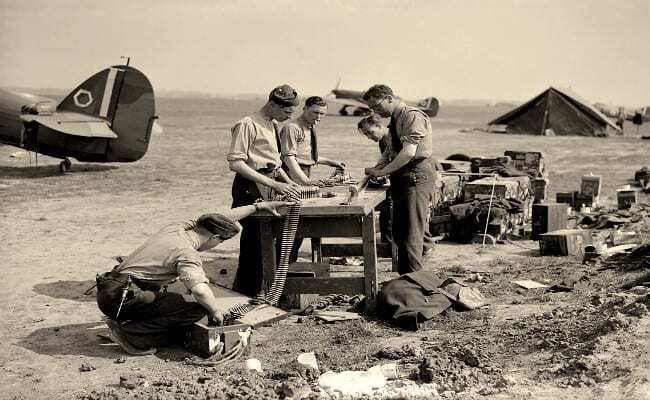 The Germans operated throughout the battle by constantly underestimating the number of aircraft and pilots that the RAF had and their ability to service them and get new planes in the air. On the other hand the RAF constantly overestimated the size and strength of the Luftwaffe causing them to believe that even with their gains they were still fighting a much more powerful enemy. The beliefs held by the two sides might explain the ferocity with which the Allied pilots flew and the inability of the Luftwaffe to win the battle. 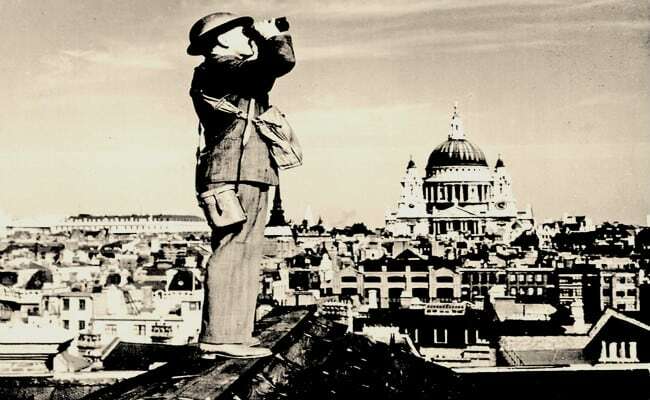 The battle of Britain, amidst other things, was a platform for testing the superiority of the radar technology; which was still very new at the time. The Germans did not have a good understanding of radar and how it worked, so they did not understand the advantage that it offered the RAF. The British had built a number of radar sites around the coastline and they could have been easily destroyed by the Luftwaffe, but the Germans never saw them as valuable targets. This was a fatal error by the Germans because even though Radar was still new and very primitive by today’s standards, it was able to give the RAF warning of many of the German attacks. This, coupled with a Civilian Observer Corps to spot low flying aircraft, made the Germans lose the element of surprise, which is a vital part of every war. There were some drawbacks as British fighter pilots occasionally found themselves in dangerous situations because the interpreter would misconstrue information from the signal thereby sending inaccurate info on enemy aircraft’s height and strength. But even though Radar had trouble spotting low flying craft and the signal was not always clear as to the size of the craft, it proved its worth during the Battle of Britain. It allowed the RAF to have the upper hand and shows Hitler’s folly in not updating and operating the German Radar system. The Luftwaffe was then forced to do bombing missions at night or in poor weather because while the Radar would still pick up the plane, there was little the RAF could do about it without pilots making visual contact. At the end of the war many people credited the Submarine Spitfire as being the plane that saved Britain. Indeed the plane looked much more impressive than the older Hawker Hurricane plane and it was more advanced. But as pilots during the war can attest, the more modern Spitfire was not always the better choice. The Hurricane was slower and less elegant than the Supermarine Spitfire, but they were tough in battle and easy to repair. The turnaround time (to re-arm, get repaired, refueled, etc.) for the Hurricane was only nine minutes while that of the Spitfire was a whole twenty-six minutes. Therefore, the Spits spent a long time on the ground during the war. In that case, the time spent on the ground when they became faulty is crucial and can be said to be the difference between victory and defeat in battle. 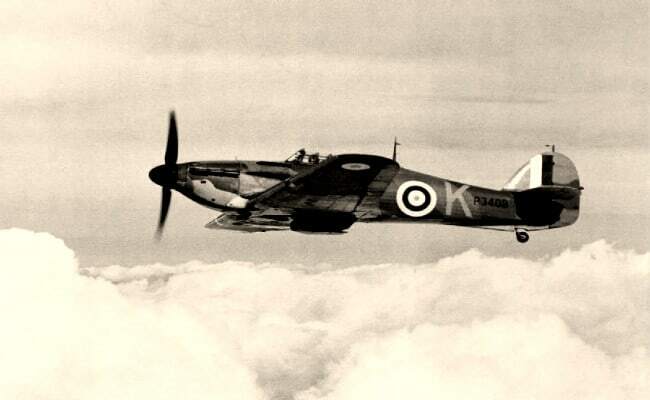 The Hurricane brought down more enemy planes than the Spitfire, but there were far fewer Spitfires than Hurricanes. The greater number of the Hurricanes (they outnumbered the Spitfires 2 to 1) and the fact that they had to spend less time on the ground than the Spitfires helped them achieve more kills. The Germans also had very little respect for the Hurricane because it was little more than a plane built of wood and fabric, and no German wanted to admit to being shot down by a plane like that. The Germans did have respect for the Spitfires however. During the war, the Spitfires focused on the German BF 109s, which all flew at a higher altitude, and the Hurricanes attacked the German bomber aircraft formation flying at a lower altitude. 6. 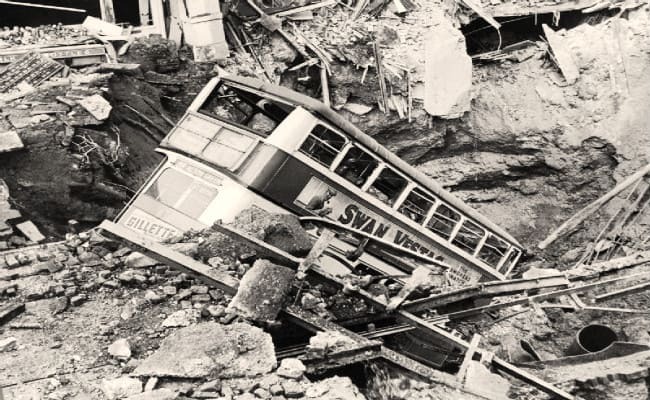 Hitler’s Decision to Bomb London Didn’t Work Out as he had Anticipated – It Turned the Battle in Britain’s Favor. Initially, the bombing campaigns of the Germans were restricted to military bases and industrial targets. But that all changed in September 1940 when Britain’s RAF launched their own attack on Berlin. The attack on his own city infuriated Hitler and he called off the progressing Luftwaffe activities in attacking the RAF airbases. His aim was to redirect the Luftwaffe and their new orders were to focus on “erasing British cities from the map” starting with London. 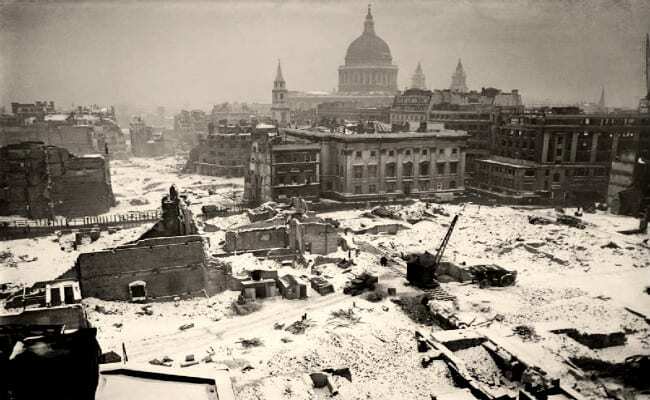 On September 7th, 1940, Hitler began what has now become called The Blitz and sent his bombers directly to London. For the next 57 nights Luftwaffe bombers attacked London, destroying more than 1 million homes and killing 40,000 citizens. While devastating to London the shift in target gave RAF time to recuperate as they were temporally relieved of pressure. They were given time to refresh their pilots and repair all of their planes. The repaired, refreshed and angry RAF was then more than ready to intercept a massive air attack by the Germans on September 15. The RAF pilots brought down about 60 Luftwaffe planes, once again proving the superiority of the RAF over the Luftwaffe. At this point, Hitler had no option but to terminate operation Sea Lion (which was Hitler’s plan to invade the UK) a few days later. So despite the devastation in London the switch in targets gave the RAF the time they needed to win the battle. Before the war Sergeant Ray Holmes was a journalist and after the war he was known as the man who saved Buckingham Palace. He joined the RAFVR in 1937 and in 1940 he was assigned to the No. 504 Squadron. On September 15th, 1940 he was flying his Hawker Hurricane through what had become a typical aerial battle, bringing down the bombers that sought to destroy London. However, this time he spotted a damaged German bomber heading in the direction of Buckingham Palace. In a daring attempt to protect the historical royal residence Ray Holmes faced the German bomber head on and avoided the return fire. Yet when Ray tried to fire his machine guns and take down the enemy plane, his guns failed. So with no other option and knowing he had to save the palace he flew his plane right into the German bomber. Hoping that his Hurricane would be strong enough to drive through the German plane and come out the other side. The wing of his plane took off the tail of the enemy bomber and it crashed near Victoria station. Ray’s Hurricane was also badly damaged in the collision and but he bailed out and safely landed on a London apartment complex. He was heralded a hero and his story became a thing of London legend. 65 years later, National Geographic Channel aired a special documentary called The Search for the Lost Fighter Plane in which Ray’s Hurricane is finally excavated from the London rubble. In May 1940 the tide of the war was changing, much of Western Europe had fallen to the Nazis. Belgium, the Netherlands, and France had all fallen. Great Britain stood as the only Allied power left. Hitler expected that the British would just surrender without a war considering that they stood no chance. Even some of Winston Churchill’s advisers suggested that they negotiate a deal with Hitler. 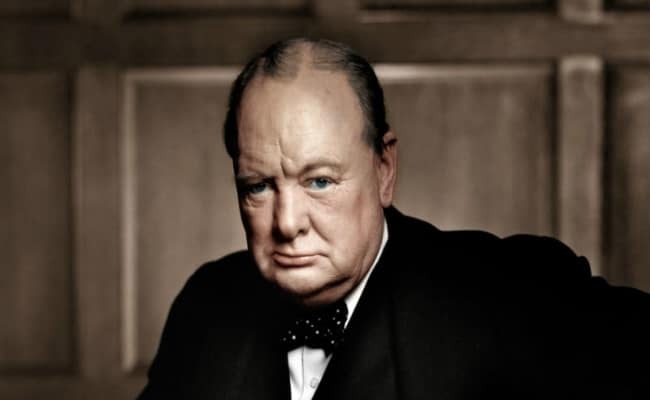 But Churchill refused, he refused to let Europe fall and he refused to let Britain lose who she was, but he had to convince the British public that their sacrifice would be worth it. 3. Pilot Shortages Caused the Training Time to be Cut to 2 Weeks. Winston Churchill once spoke that “never had so many owed so much to so few” and in that he referred to the British people and their debt to the fighter pilots who fought to try and save British cities. The pilots were exhausted working 15 hour shifts, doing multiple bombing runs a day and only getting a few hours of sleep at a time. Some pilots were known to take amphetamine pills just to keep up and stay fighting. Pilots were exhausted but on the British side they were willing to keep fighting because they believed their way of life was at stake. The Germans also experienced fatigue and pilot shortages but they had a harder time motivating their forces and filling the pilot shortages. Unfortunately the RAF had already been fighting the war in France which meant that they had lost hundreds of their experienced pilots. When it came time to defending their own homeland, the RAF was short on skilled pilots and therefore did not have the pilots they needed to allow for rotations and pilot leave. They called in the reserves but many of those men had little flying experience and no gunnery training. 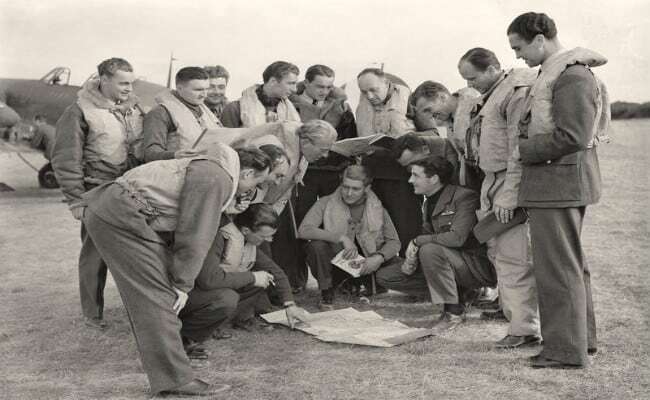 The RAF had no shortage of volunteers, especially once the Battle of Britain began, but they were hampered by the typically 6 month training period. They were so desperate for pilots that training was cut down to a mere two weeks. When some pilots took to skies in order to defend the country during the Battle of Britain they had spent a little as 9 hours in a modern fighter plane. In October 1940, Hitler realized that the Luftwaffe had still not achieved air superiority over the RAF, so he turned his attention away from his quest to take over the British airspace to attacking the Soviet Union. But even though this marked the end of the Battle of Britain that did not stop German bombing raids on British soils. 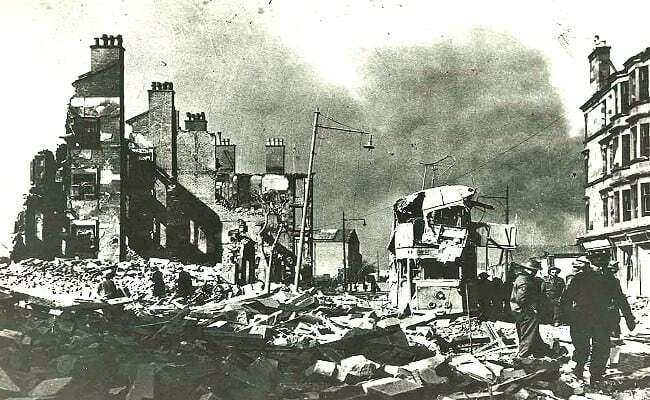 The Blitz Operation went on conducting series of bombing raids against Britain, most of which took place at night. Hitler hoped that the continued bombing raids would break British resilience and he would be able to invade Britain at a later date. The Luftwaffe conducted these nighttime bombing raids over places like London, Coventry, and a handful of other cities in British. This went on for several months, but the Germans still could not break the fighting spirit of the British and the whole of Western Europe. Over 267 days London was attacked 71 times and other cities continued to be bombed as well. The bombings continued all the way up until May of 1941 when Hitler finally abandoned any hope of doing an invasion of Great Britain. But the damage to the country had been significant more than a million homes were damage and tens of thousands had lost their lives. Britain was the last country in Western Europe to stand against Hitler after he had conquered other European nations. The defeat of France was an especially hard blow and one that Hitler believed would lead to a British surrender. But despite his lightning conquest of France and after just six weeks of the combat, he was still wary of invading Britain. Since Britain was under the protection of the English Channel and also being that their Royal Navy was superior to the German Kriegsmarine, he wanted to avoid an invasion. Hitler hoped that Britain would peacefully surrender to Germany and agree to a negotiated peace settlement. 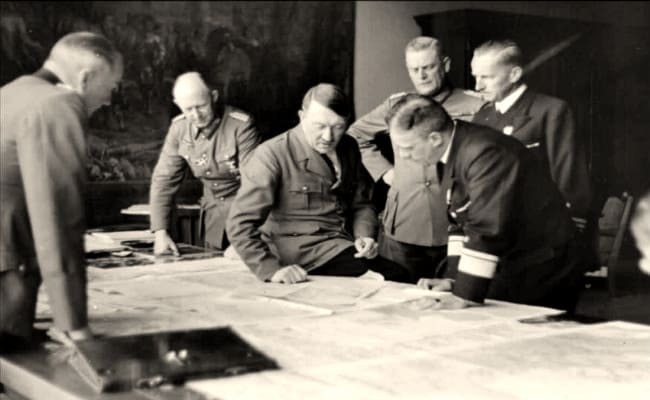 Hitler was then forced to issue “Directive Number 16” code-named Operation Sea Lion, an invasion that was considered as a last resort if the peace agreement failed. However, Operation Sea Lion depended on the Luftwaffe dominating the RAF which never happened, so Operation Sea Lion was postponed after the Battle of Britain. As the war progressed, Hitler abandoned Operation Sea Lion entirely and he never attempted an invasion of Britain. This entry was posted in Blog and tagged 109, Alison, Battle of Britain, Blitz, hurricane, london, Merlin, Never Surrender, spitfire, Supermarine, Winston Churchill, ww2.